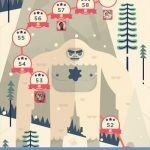 This is the second in a series of TwoDots walkthroughs, following up the previous recap that touched on the first five levels of the game. 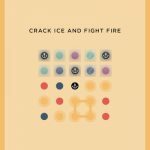 As you may have noticed, some of the best TwoDots strategies are the simplest ones, and these usually involve trying your best to cover large areas or create actual squares. 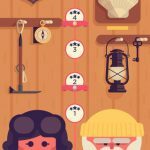 You’ll see more of these common-sense TwoDots walkthrough and tips in action, though level 6 to level 10 may require more than the simplest, most obvious strategy in order for you to succeed. Again, the best thing to do at this point would be to create squares, specifically red and yellow squares as these are the dot colors that need to be collected. And those are a lot of dots, considering you have only 30 moves to collect them. As such, strategy becomes more important here. Aside from collecting through squares, you may also go for known patterns like the “vertical Z,” and be on the lookout for multiple dots of the same color that are bunched up in the same area. Yes, you read it right – that’s a total of 200 dots to collect in 30 moves. This is where bombs make their debut – bombs are when you create a square surrounding a dot of a different color. And you’ll find out that these bombs can be quite helpful in achieving the lofty-sounding goal. Bombs, after all, clear out all eight dots surrounding them, removing the entire color and getting you eight dots on top of what you already have. Aside from bombs, you’ll also want to try creating squares, and since this is the first level where you’ve got a great deal more dots to clear in comparison to the maximum moves, don’t rush things; it definitely helps to take your time. This is quite a challenging level where you’ll have to go for big combinations if squares aren’t possible; it’s also worth adding that this is the first level with cutouts. Bombs would also be harder to create in this level, so your best bet would be to create a large dot combo as opposed to making a square or a bomb. You’ve got five times more dots to collect than moves to collect them in, though the good thing is that you only have two colors to work with. Like Level 8, there are cutouts on the field of dots, and this level is also the first where you’ll really have to work on your box creation skills. Boxes are closed loops of dots, and in this level you’ll want to start out small and focus on making smaller boxes as you work on collecting the required number of dots. Use what you’ve learned in Level 9 to create as many boxes as possible, and what you’ve learned in Level 7 and 8 to create bombs when you could. And since there are more cutouts in the field of dots on Level 10, you can also experiment with unorthodox or peculiar formations, as opposed to the good old-fashioned squares you may have been using primarily in the earlier levels.